There are four main ways crypto investors can store XRP. Each wallet style has pros and cons. Hardware wallets are the most secure option available to XRP wallet users. These devices allow you to store your XRP offline, thereby safe from digital intruders. Most hardware wallets provide you with the ability to recover your crypto in the event that the device is damaged. The downside of this type of XRP wallet is the fact that you must be in the presence of your wallet to access your funds. Online wallets are the most popular form of XRP storage available. In most cases, online wallets are free to use and generally safe. They are also very convenient, easy to set up, and can be accessed globally. Unfortunately, these same characteristics expose online wallets to added risk from hackers when compared to cold (offline) storage methods. Desktop wallets are similar to online wallets but with one major difference. This style of XRP wallet can only be accessed by the desktop that has the wallet program installed on it. Desktop wallets were the first style of wallet to emerge in the crypto space, and they are still commonly used today. Albeit, not as much as online wallets. Paper wallets are nothing more than pieces of paper with your private keys written on them. This style of wallet used in tandem with bank safety deposit boxes is a common way that large crypto investors keep their funds safe. The Bitcoin billionaires, the Winklevoss twins, reportedly keep their private keys stored in pieces in separate banks’ safety deposit boxes. 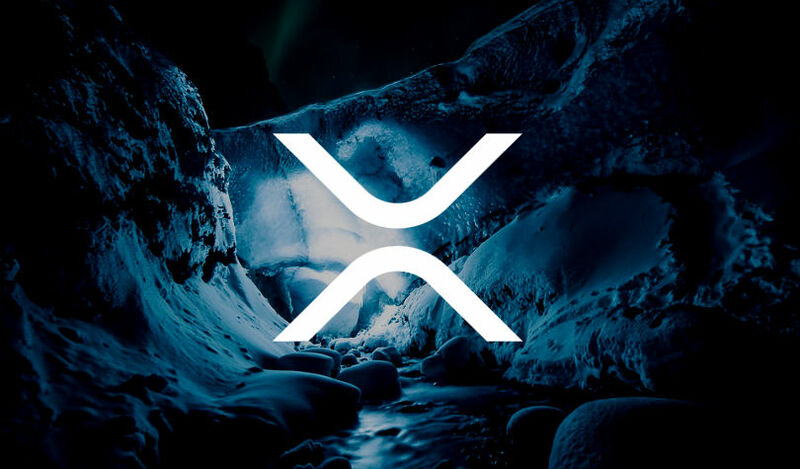 There are some important features that are worth examining prior to making your selection for the best wallet for XRP. These features can keep your crypto safer and help you avoid getting scammed in the future. Always keep your XRP private keys safe. If you lose your private key, you lose your crypto. It follows that you should never give your private key to anyone. Scammers have successfully robbed millions in crypto by tricking new investors into providing their private keys. The internet is full of stories where unsuspecting investors didn’t secure their keys, only to lose their crypto. Remember, choosing the wrong XRP wallet can cost you big time. To avoid making the wrong selection, you will need to research your choices. Never go with unheard of development teams. When it comes to XRP wallets, a good reputation is paramount. The user experience of your XRP wallet is another important factor to reflect upon. In most instances, online XRP wallet apps are the easiest for new users to understand. The best XRP wallets provide you with an easy-to-understand user interface. Backing up your crypto wallet is very important. Not having a backup for your crypto wallet is risky, to say the least. Hardware wallets can be stolen or damaged, and without a backup, your crypto is lost forever. The same goes for online XRP wallet apps. Losing your phone isn’t impossible. Now imagine how bummed you would be if your entire XRP savings was on the device and you never made a backup. The Ledger Nano S is the safest XRP wallet option on this list. It’s also the most expensive option on this list with a retail value of $99 USD. Ledger is well known in the crypto community as an established hardware wallet provider. The Ledger Nano S stores your XRP offline for you to create a recovery seed in case you lose your private keys. Additionally, you can store multiple cryptocurrencies on this USB-sized XRP wallet. The XRP Toast Wallet is another popular option in the crypto space worth considering. Unlike the Ledger Nano S, this wallet is not hardware based and free to install. The wallet doesn’t even charge transaction fees. The only requirement is that you have at least 20 XRP in your wallet. The Toast wallet features an easy-to-understand interface and is available for download on all major platforms including Windows, Android, and Apple iOS. The GitHub XRP wallet is specifically listed on XRP.com as an approved storage method for XRP. GitHub wallets are among the most secure desktop options available. The interface is easy to understand, and users can purchase additional XRP directly from the platform using Bitcoin. The GitHub platform also incorporates an advanced analytics section that shows investors important information relevant to their holdings. The Exarpy wallet platform focuses on XRP users who access their funds on the regular. The company website states, “Just like cash in your pocket, your XRP should be easy for you to access.” Exarpy is not affiliated with XRP directly, but their platform enables easy access to the XRP payment network. Unlike most XRP wallets, this option doesn’t store any of your personal account information such as private keys. Instead, Exarpy utilizes a cryptographically created PIN to enable access to your funds. If you are the type of person known for losing stuff, you may want to think about utilizing the CoinPayments platform to store your XRP. CoinPayments operates as a virtual cryptocurrency bank in which users who don’t want to worry about private keys can store their crypto. The platform offers a digital vault feature which, like a real vault, can be time-locked. Users get a lot of flexibility with this platform because CoinPayments has partnerships with over 296,000 vendors in 182 countries. So with this option, you can also spend your cryptocurrency at any of the approved vendors. This article by David Hamilton was originally published by CoinCentral, our media partner.